A couple of days ago, I was playing a video game I recently purchased. The video game has very fantastical, imaginative, and whimsical settings and I just get engrossed in all the details while playing. The new level is clearly Eastern inspired, and is decorated with Asian architecture, decor, & motifs. The mountains were carved with jade, the trees were made of white & blue Chinese porcelain, and there were gigantic Chinoiserie vases embedded in the mountain tops. Looking at it all got me inspired to write a post about Chinoiserie decor! I already wrote about decorating with Chinese guardian lion statues, but this post will be more generally about Chinoiserie decor and not just the lion statues. So what exactly does Chinoiserie mean? Well, one thing is for sure, it definitely is not traditional Chinese architecture or design. Instead, it means "inspired by" Chinese motifs, patterns, and designs but with Western design foundations. Subsequently, it is just an interpretation and fusion of designs from two different cultures. The most reoccurring design elements I see in every room that is labeled Chinoiserie is Chippendale bamboo, ornate scenery wallpaper, and pagoda (or Ming style) legged furniture. With all these bold design elements, a room can become overdone & overwhelming. 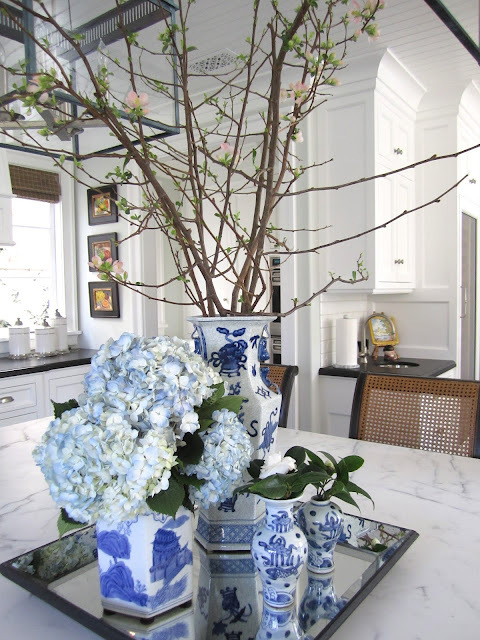 However, when done right, Chinoiserie rooms are playful, whimsical, and glamourous. So, is there Chinoiserie decor in my apartment? Yes! Along with my guardian lion statue, I have two white, blue & gold ginger jars as decor on the window sill (on the search for a third ginger jar to complete the group!). 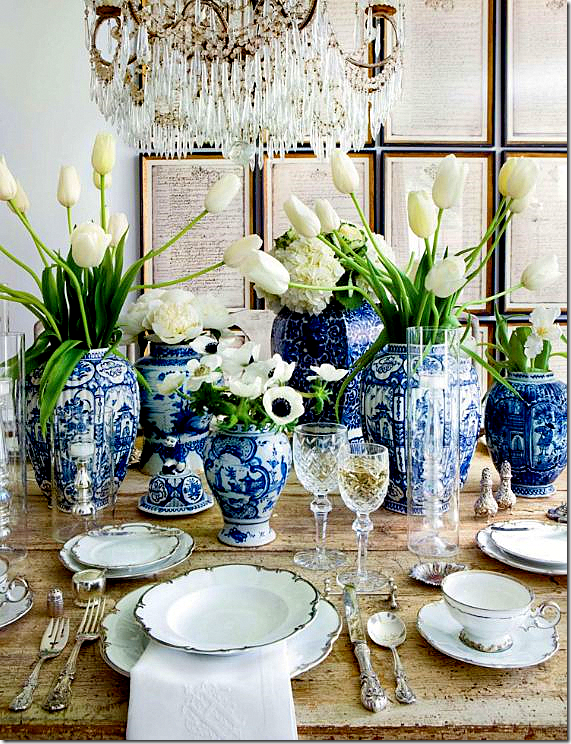 For more inspiration, check out Chinoiserie Chic which always has great pictures. Usually this is the area where I post my six picks. Unfortunately, it's actually a little difficult to find retailers that offer affordable Chinoiserie styled furniture. A lot of times the pieces you see in the decor photos are vintage, individually sourced, or the items are very expensive since they might be one of a kind (Chippendale chairs can set you back $700 per chair!!). Instead, I'll list a couple of sources and retailers that sell some Chinoiserie items in a range of prices. However, if you're lucky and you live in LA, there are tons of local furniture stores that sell Chinoiserie furniture & even more traditional Asian styled furniture. If you're not in LA, local Chinese supermarkets sometimes carry a small offering of housewares & vases. In NYC, there is Chinatown and Pearl River Market which are good sources for Chinoiserie pieces. Follow my home decor pinterest board here!